June is the month in my garden where plants look awesome, and then overnight turn into a mess. I'm hoping to change that this year in two ways. The first, I'm starting zinnia, sunflower and calendula seeds now (ideally in mid-May but let's blame it on the cold spring and not my schedule) to scatter around the garden for continuous bloom. The second is a visit from Nancy DuBrule, a plant guru from Natureworks in Northford, Conn., which I've scheduled for the second week of June. I'm hoping for much-needed advice and/or plant suggestions to keep the gardens looking their best, especially the back garden which tends to become a free-for-all by late June. 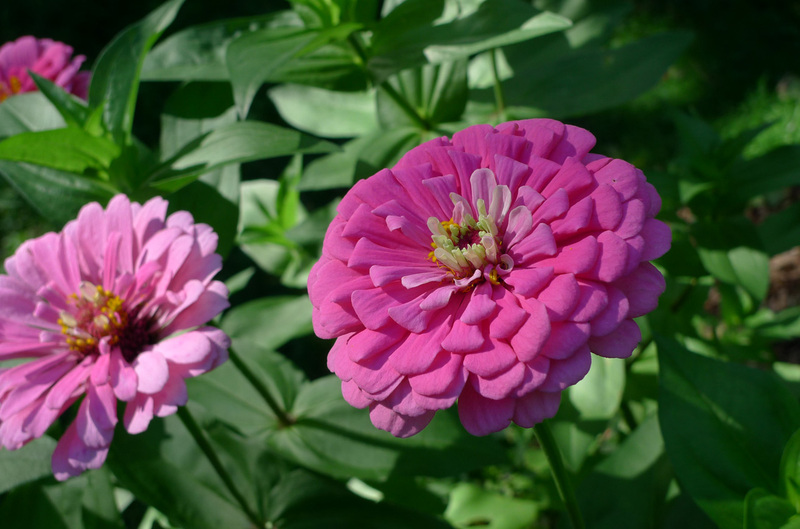 Keep deadheading spent blooms and leave the foliage until the leaves wither away. My neighbor grows hostas over her daffodils in her shady driveway, which do a surprisingly good job of hiding the fading leaves. Zinnias make great annual flowers. Four yards of mulch in my driveway. Did you start all of yours? I didn't. There's still time, especially since the ground is warmer than early spring. I've sowed zinnias as late as July in my garden, but it's nicer to get them in the ground earlier so you can appreciate their blooms longer. 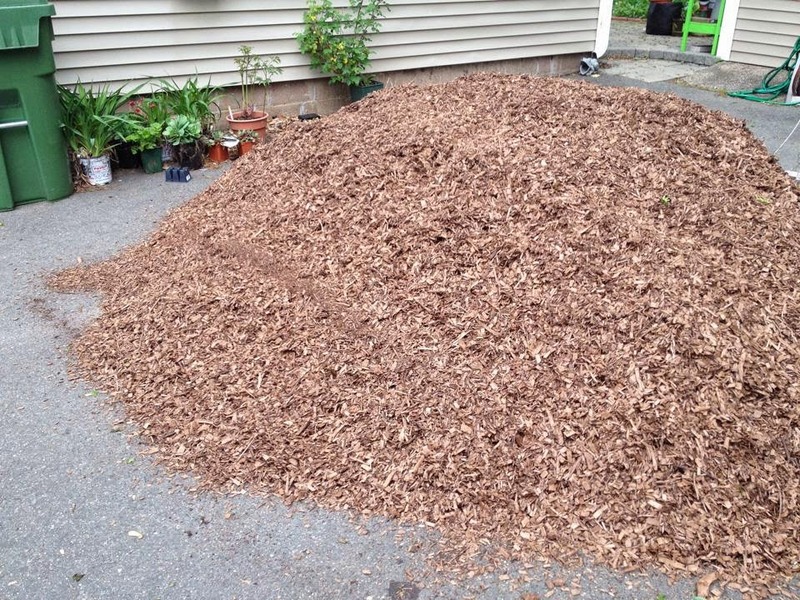 I ordered my bulk witch hazel much from Paul's and Sandy's, Too in East Hampton, Conn. What I like about bulk mulch is that I do not need to haul bags home from the store and all over my garden. Also, with the witch hazel, it's a byproduct from a local company that uses the plant to make astringent, so I'm not importing mulch from another state. 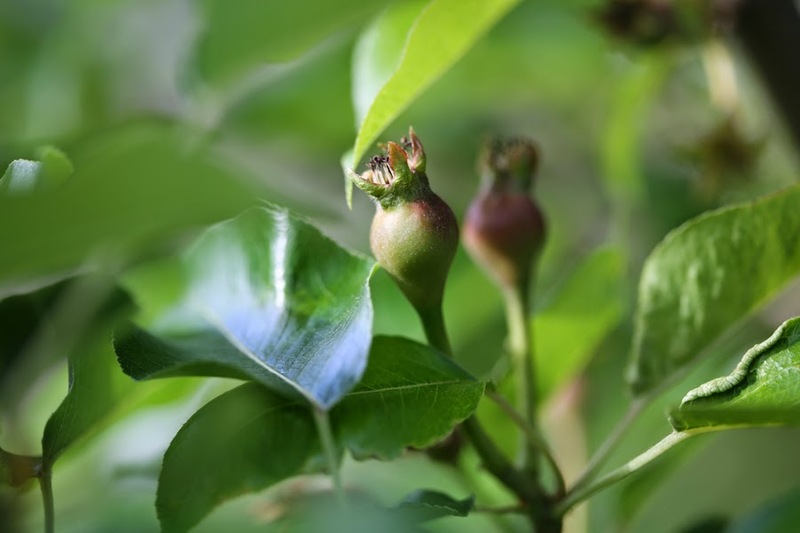 At the first of the month it's time to fertilize fruit trees, roses and vegetables (organically). Also, as I learned in a recent workshop from Michael Ruggiero, feed containers with a liquid fertilizer at half strength every two weeks. Again, to do this organically, you can use seaweed fertilizer or the "juice" from worm bins. It looks like my pear trees will be bearing heavily this year, but not my plums. The branches are already bending and the fruit is barely there, so this is a good time to get supports in place to balance branches. 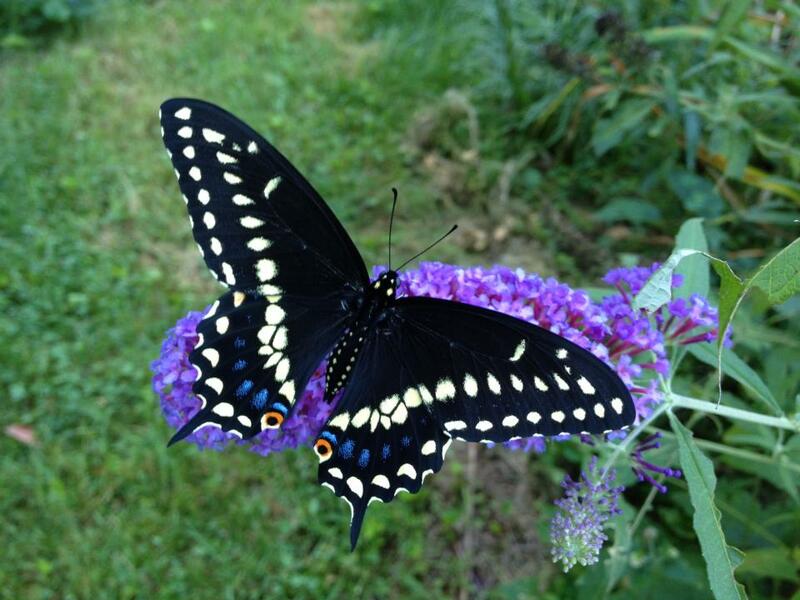 A female black swallowtail butterfly raised last summer. Sow milkweed seeds now or purchase plants. I ordered milkweed seeds from Live Monarch and they arrived within a week. Plant host plants of dill, fennel or carrots to attract black swallowtail butterflies (I did last year and had lots of fun raising them!). Succession sowing is the way to keep vegetables going all summer. Beans, carrots, and herbs such as basil and cilantro are plants that can be sown every two weeks to keep a successive harvest. Get your tomatoes ad peppers in the ground now. Don't forget to pinch back perennials this month to maximize blossoming potential and to promote bushier growth. Learn how to do it here. Right after lilacs, rhododendrons and azaleas bloom is the correct time to prune so you won't be cutting off next year's flower buds. Natureworks has a good worksheet to explain pruning that can be found here. I love your blog! Nice to read about another Connecticut gardener. I attended a lecture by Nancy in Manchester earlier this spring. Love to hear people's garden plans. I fear the winter did a number on a lot of my plants. The mock orange didn't have many blooms, one peony has no buds, and I think all the mophead hydrangeas had their buds killed. Very disappointing. Oh well, here's to a milder winter this year! Thanks for reading! Yes, the cold winter did a number on my hydrangeas as well. It felt wrong to prune them back so severely!